Box Text: Justice Prevails! 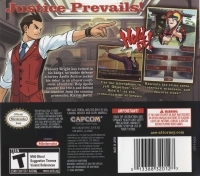 Phoenix Wright has turned in his badge, so rookie defense attorney Apollo Justice makes his debut in an all-new courtroom adventure. 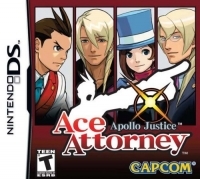 Help Apollo uncover the truth and defend the innocent from the cunning prosecutor, Klavier Gavin. Use the microphone to yell "Objection!" and "Hold it!" as you cross-examine witnesses. Recreate the crime scene, interview witnesses, and discover clues!! 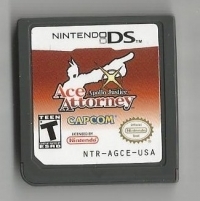 This is a list of VGCollect users who have Apollo Justice: Ace Attorney in their Collection. This is a list of VGCollect users who have Apollo Justice: Ace Attorney in their Sell List. This is a list of VGCollect users who have Apollo Justice: Ace Attorney in their Wish List.